Enjoy a Ride on the River with The Gateway Arch Riverboats Sunday Brunch! St. Louis is known for it’s melting pot culture and variety of things to do in the lou. However, in all of my years here in this awesome town, I have never ridden the Riverboats down by the Gateway Arch. That is until a few weekends ago. 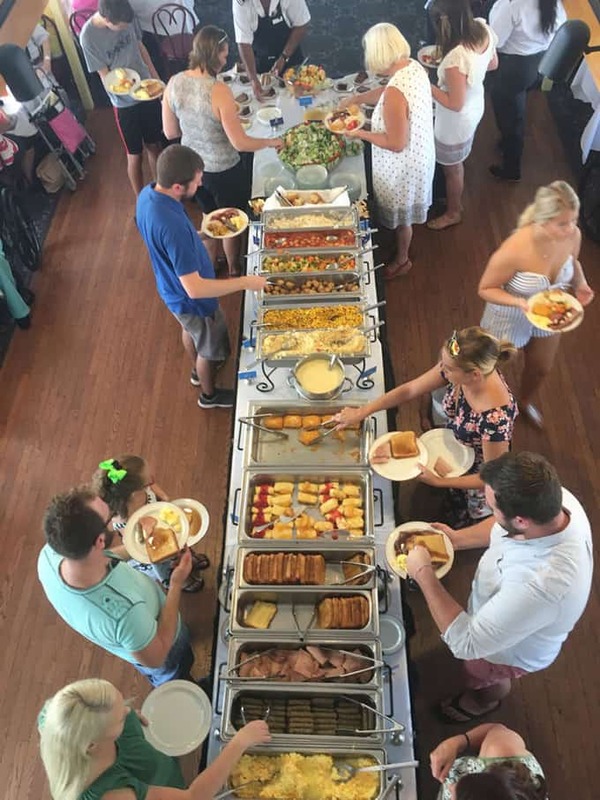 The chance to ride the riverboats with my family came across my email with the added bonus of brunch! 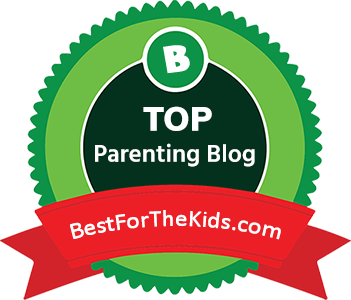 In our house there is nothing better than eating breakfast for lunch, except maybe breakfast for dinner, but I think that’s an entirely different post. So the opportunity came about for my family and I to take a ride on the Riverboats at The Gateway Arch and enjoy a delicious Sunday Brunch. We were extra excited because the day of this event was also our baby girls birthday! 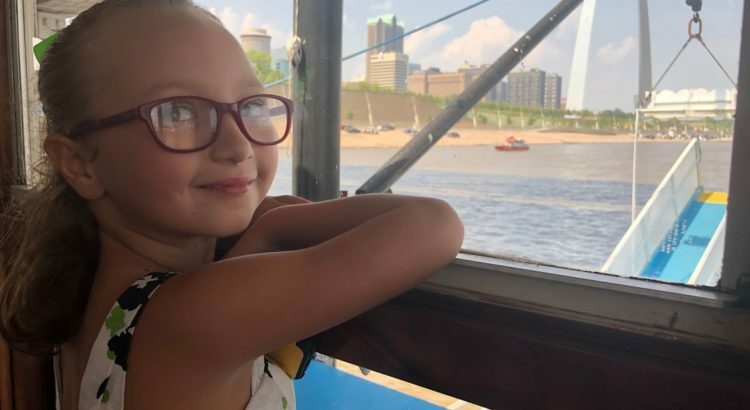 So we got the chance to take her on an unique experience riding the Mississippi river near downtown St. Louis! How cool is that? 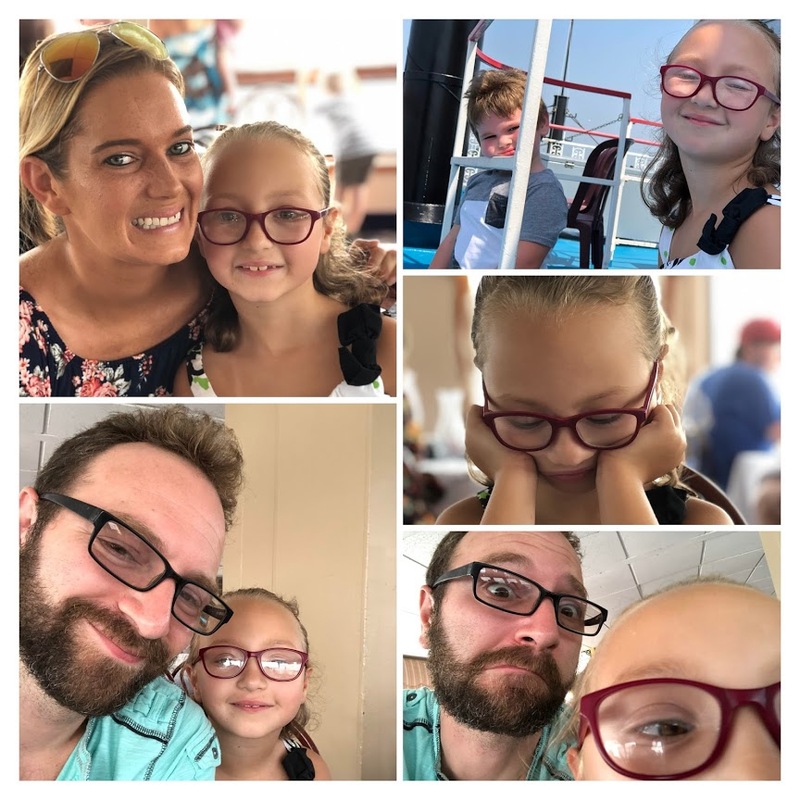 I don’t want to go into all of the details of our visit but I will offer up a few tidbits of information that will help your Riverboat experience go smooth sailing (fyi, it’s not a sailboat lol). For starters, plan ahead, figure out your route and where you will park. Be sure you have plenty of time to make it to the boat. It will leave without you. We parked in a parking garage by Laclede’s landing, however there is parking a lot closer as well on the cobblestone road right next to the river. So be sure to plan accordingly. 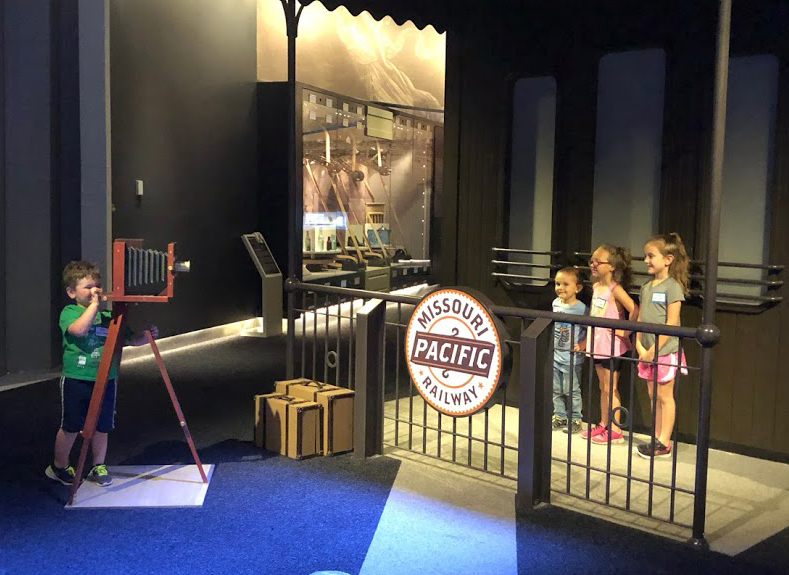 If you have plenty of extra time, check out the new Gateway Arch Museum. It is worth a visit. There is a lot of St. Louis history packed into that space that is full of interaction and information! There is a photo service provided by the Riverboat crew that you can purchase a print of when you arrive back to the dock. The crew will get your photo when you board and the prints are ready when you get back. Pretty cool memento! Since this was a brunch we made sure we checked out the menu posted on GatewayArch.com before our arrival. This way we knew what we wanted and could prepare if the kiddos weren’t having any of it. They enjoyed the french toast and ham and other goodies that were available in the buffet. A good tip to know is that water, tea, and a few select juices are included in your meal, soda and other alcoholic beverages are an additional cost. So be sure to bring cash or your card if you are wanting any of those amenities. After eating you can check out the dixie music playing, or head out on top of the boat to scope out the beautiful St. Louis scenery. Yeah, there is some graffiti on the big wall, but if you’re an artist like me you can appreciate some of the work that went into those pieces. 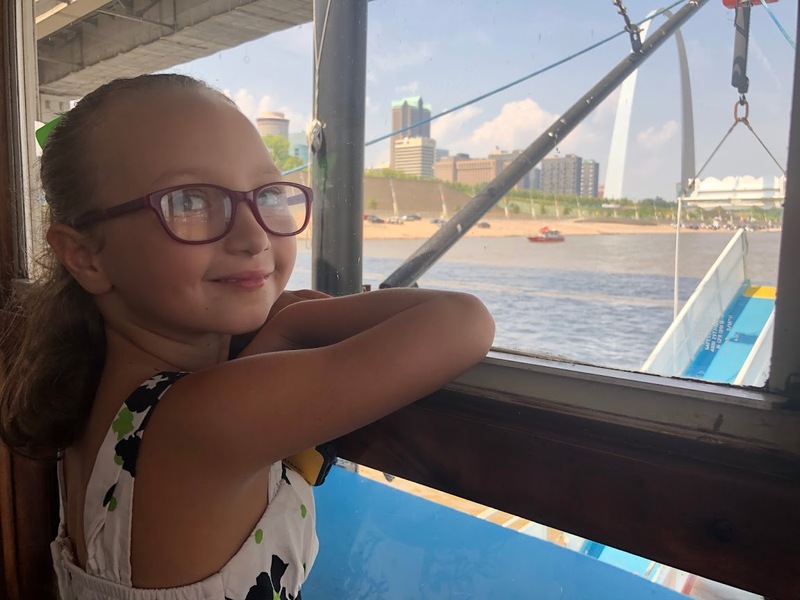 A nice ride down the mighty Mississippi is quite calming and relaxing and the Riverboats really do help provide that comfort you may need to beat the heat downtown. A nice meal, beautiful sites, and some nice A/C is sometimes all you need to make your day amazing! 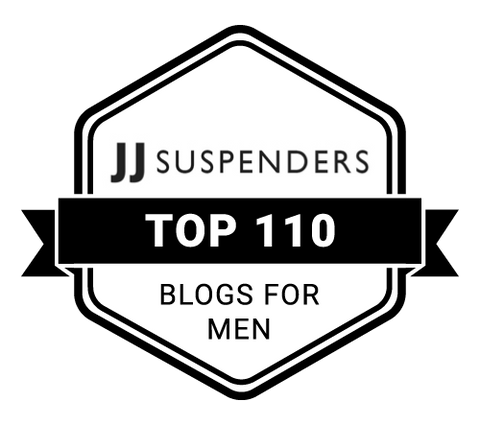 Curious to learn about some other experiences? 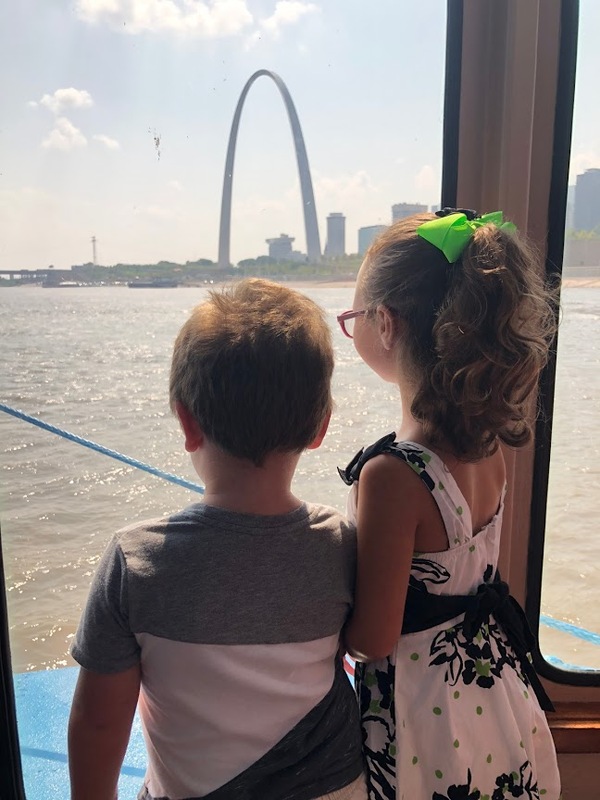 Check out STLMotherhood’s post about her visit on the Riverboats as well! St. Louis Dad and family even make a cameo in one of her photos! See if you can spot us! So be sure to reserve your tickets online! Tickets are $45 for adults, $18 for kids 3-12 and free for children under 2. The boats are docked at the foot of the Gateway Arch. Stop by the ticket office to pick up your tickets by 12:30 — the boat will leave without you at 1pm! 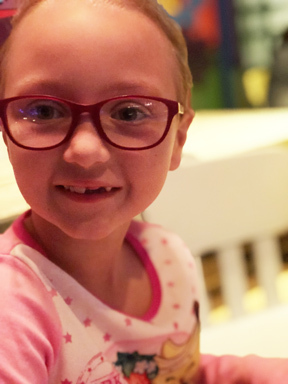 St. Louis Dad was provided complimentary tickets to a Sunday Brunch on the Gateway Arch Riverboats in exchange for this blog post. 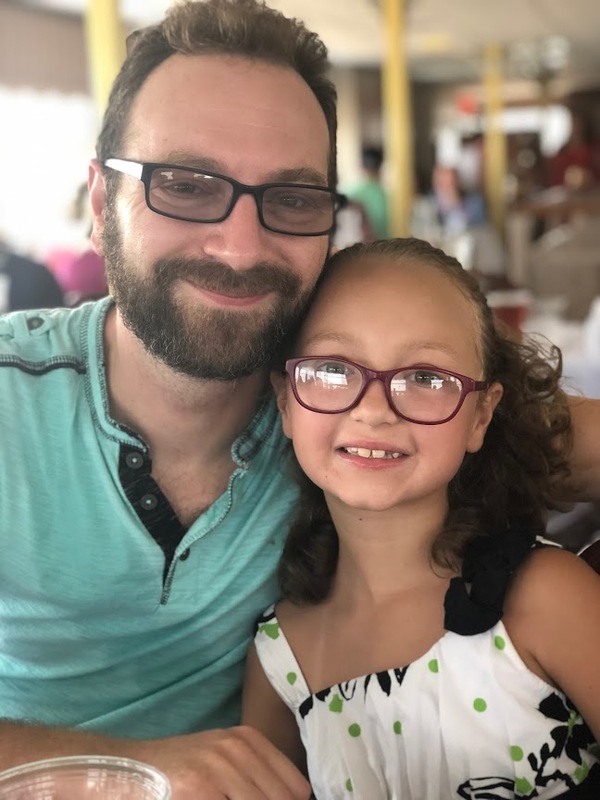 Starting back in fourth grade his fascination with haunted houses had Larry Kirchner spending his days mapping out mazes out of blankets and filling pickle jars with his G.I. Joe’s in his basement to create the perfect haunt. 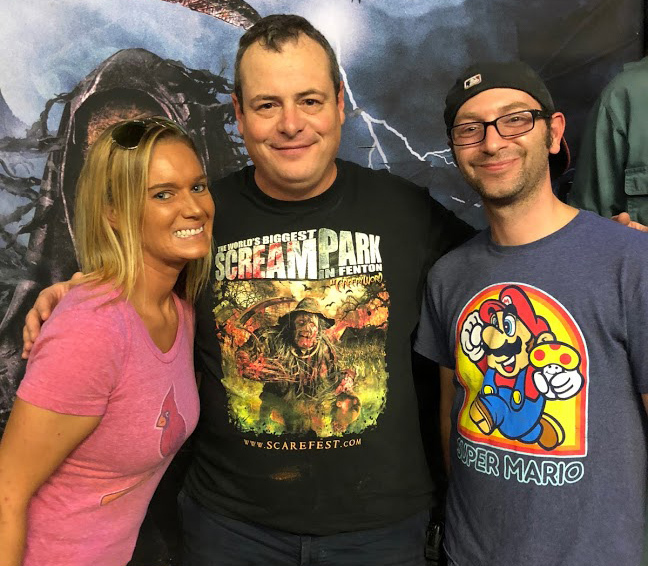 For years Larry has spent working countless days towards that perfect haunt and for the last 25 years he has brought the best to St. Louis with The Darkness. Much like some of the staples found in St. Louis, you will be hard pressed to find someone that hasn’t heard of The Darkness or Creepy World. Both offer some of the best scares during the Halloween season. But did you know that they work year round to bring those freights to us fans! This year is the 25th year of The Darkness, the longest-running haunted house in St. Louis. Rated as America’s best haunted house, The Darkness is opening September 21st for all to see. New renovations to The Darkness make it longer and more terrifying! There is an all-new Zombie Laser Tag, as well as The Hive live zombie experience. The renovations also include new interactive elements as well as a horrifying Jigsaw Horror Escape Room in the Monster Museum! 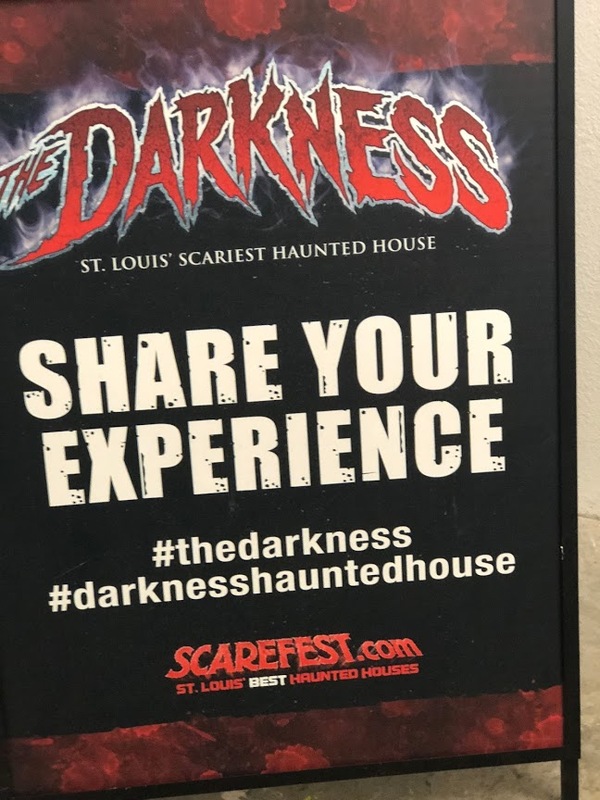 My wife and myself were invited to check out the new renovations at The Darkness and see what Larry had in store for St. Louis during the 25th Year of Fear. What we had envisioned for our tour was not what we expected. We got to see the shop where all of these amazing creatures and animatronics are made year round as well as for clients all over the world! Getting this behind the scenes look was a sight to see and really showcased the amount of work that is put into a production like The Darkness. After a brief tour we were invited to go through both haunts! Not only has my wife never been through a haunted house, we have never gone with basically just us two! There were twists, turns, freights, clowns, zombies, creatures, and more! Each haunted house features 15-20 actors ready to terrify you into needing a change of shorts. Rooms with scenes that depict the syfi, morbid, sacrificial, insane and more! The viral IT animatronic is here too, and poor Georgie just doesn’t stand a chance either. The Darkness will be open for the 2018 haunt season on September 21-22 and 28-29 from 7:30PM to 11PM; October 5-7, and then every Thursday through Sunday night starting October 11th! 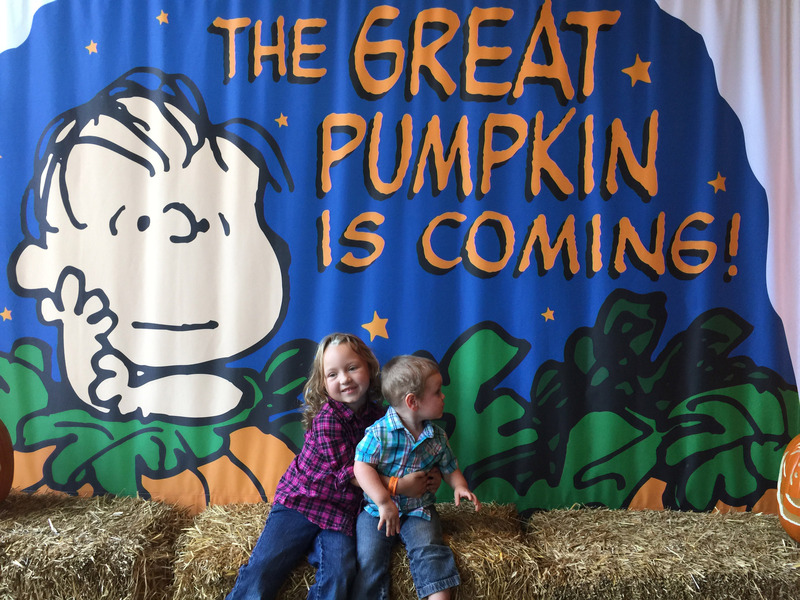 Beginning October 19th, the attractions will be open nightly through Halloween! The Darkness will keep the fear going November 2, 3, and 10 from 7PM to 11PM. 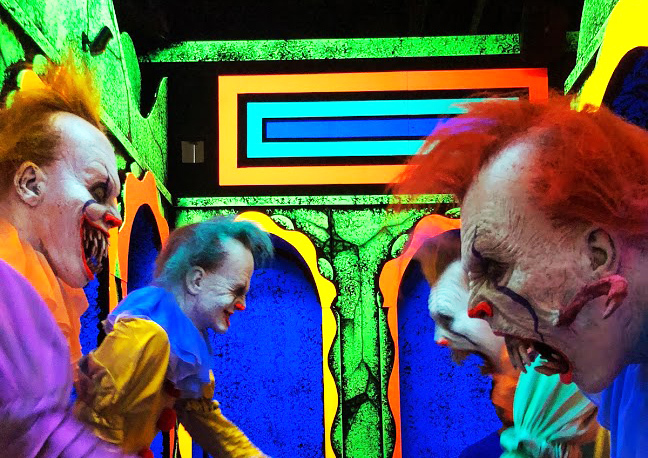 November 10 is Black Out Night where guests can go through the haunt with just a glow stick for light. 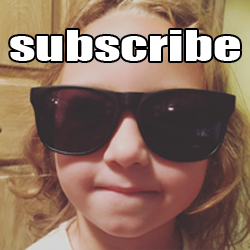 Check out TheDarkness.com for more information! And have no worries, this year The Darkness now offers photo opportunities! Back in the day you used to not be able to bring in a camera, now there are spots where you can take selfies and post them to your favorite social media platforms! 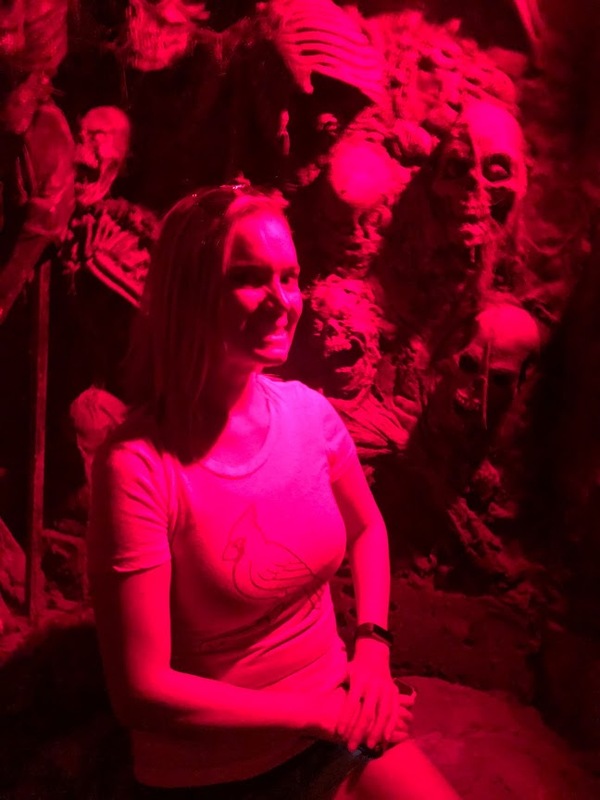 Be sure to follow St. Louis Dad on Instagram this week to see more behind the scenes and sneak peek photos and video of the haunts you will be able to see this year! You can also check out the hashtag #thedarkness and #darknesshauntedhouse for more photos! 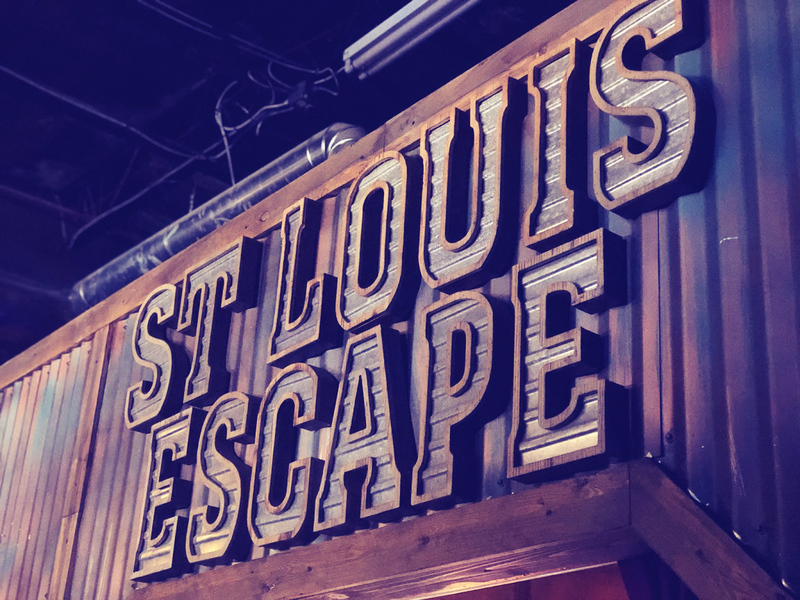 The Darkness and St. Louis Escape are both located in the Soulard neighborhood, just south of downtown St. Louis and next to the historic Soulard Market at 1525 South 8th Street, St. Louis MO 630104. 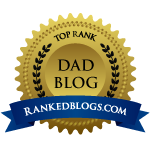 St. Louis Dad was provided a complimentary tour of The Darkness in exchange for this media promotion. Follow The Darkness on social media for more awesome details! 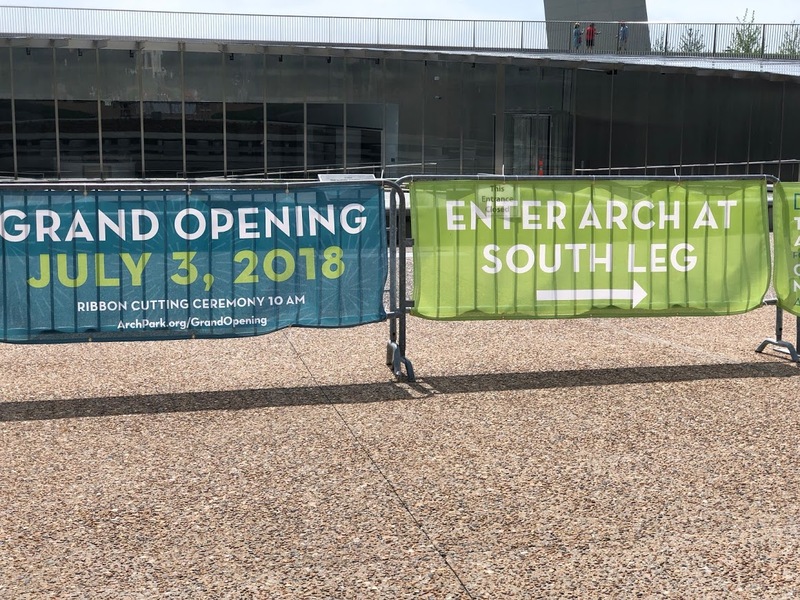 The St. Louis Gateway Arch Park Foundation invited my family and I down to get an exclusive tour of the new St. Louis Arch Museum before it opens to the public on July 3rd this summer. Getting a sneak peek of the new museum was something that I could not say no to, so I agreed and patiently waited for the details to arrive. Once the details were sent we began scheduling and planning our day. First up was some yoga down at Kiener Plaza for #KienerKids! 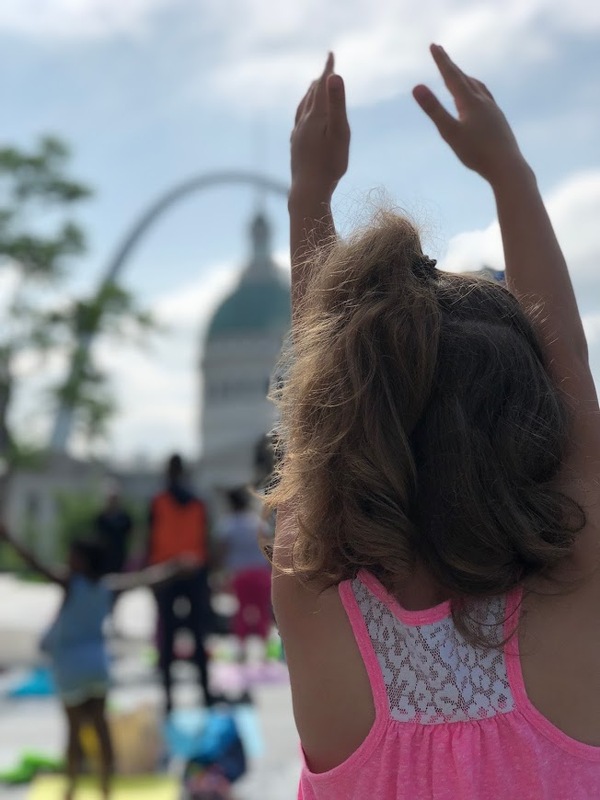 Several kids and adults participated in an early morning yoga session in beautiful downtown St. Louis. With a fantastic view of the Gateway Arch and some yoga getting us ready and focused for the day ahead of us we were ready for our tour. But first we finished up the awesome #KienerKids activities. A long with yoga, there were a few games, the Kiener Plaza playground, and an awesome story teller that was just fantastic at keeping the kids attention with his stories and songs. After story time we took a quick restroom break and took a quick walk from Kiener Plaza to the entrance of the museum. A quick introduction from our tour guide and we were in! A really cool feature to the new museum that we did not try out because, well, we didn’t bring extra clothes and we didn’t think it was “open” yet was this little pond like feature right in front of the museum doors. It isn’t a fountain so much as it’s a water feature that kids can play in and view the amazing light reflections that you will see at various times of the day. It was very interesting to hear about and I cannot wait to see it in action. Upon entering the museum you are immediately able to see it’s open design. There’s so much space AND light!!! Before when entering the museum you felt as though you were entering a bunker and the sunshine stays behind and never entered, that is no longer the case. The new layout and construction now allows for natural light to spread all through-out the museum, removing that claustrophobic feel that was once there. Check out St. Louis Dad on Instagram or search #YourArch to see more photos! Wide open spaces, class rooms, and more, the new St. Louis Gateway Arch Museum is worth visiting again and again. There are many great photo opportunities within the museum as well as from the top of the arch. 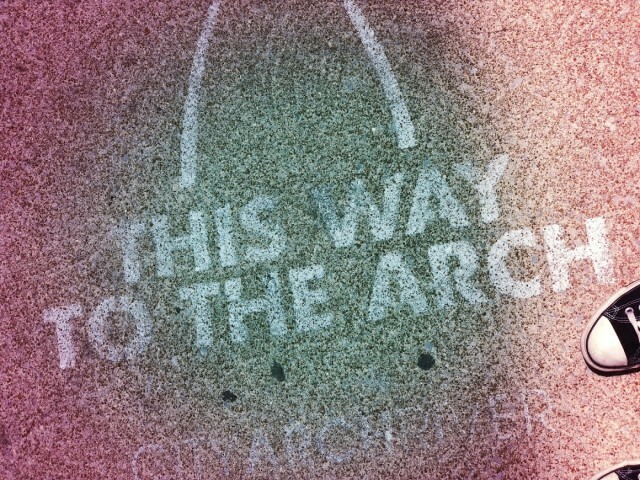 The St. Louis Gateway Arch Park Foundation has done a terrific job with everything! 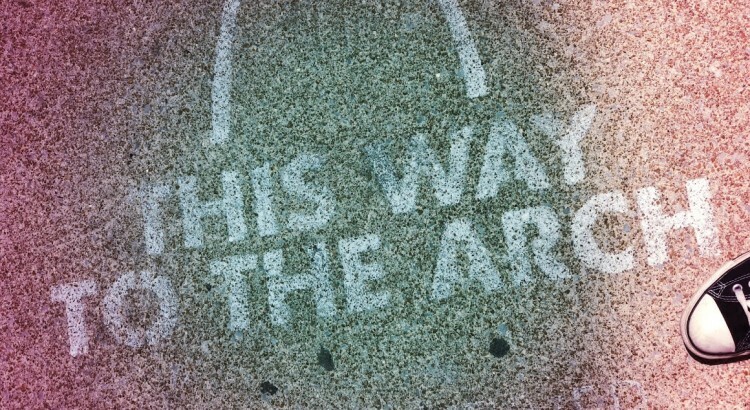 The path you take to get to the Arch from Kiener is as simple as a walk in the park, no longer are you needing to cross an interstate to get from one spot to the next! The displays within the museum are all up to date and incredible. 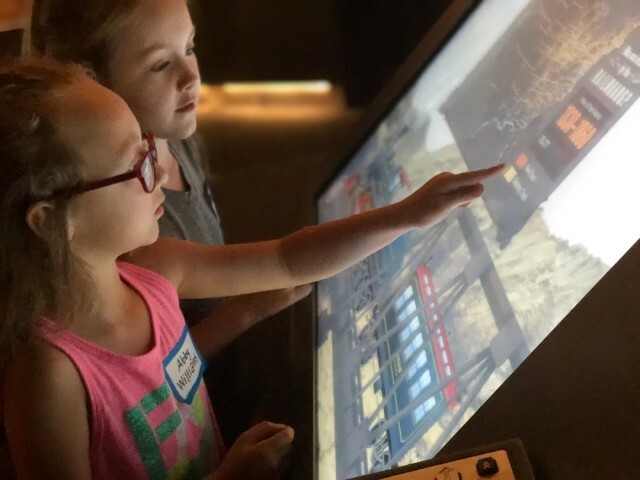 Kids and adults will have a blast learning about St. Louis, Missouri, and the rest of the mid-west while exploring the numerous interactive features and displays. 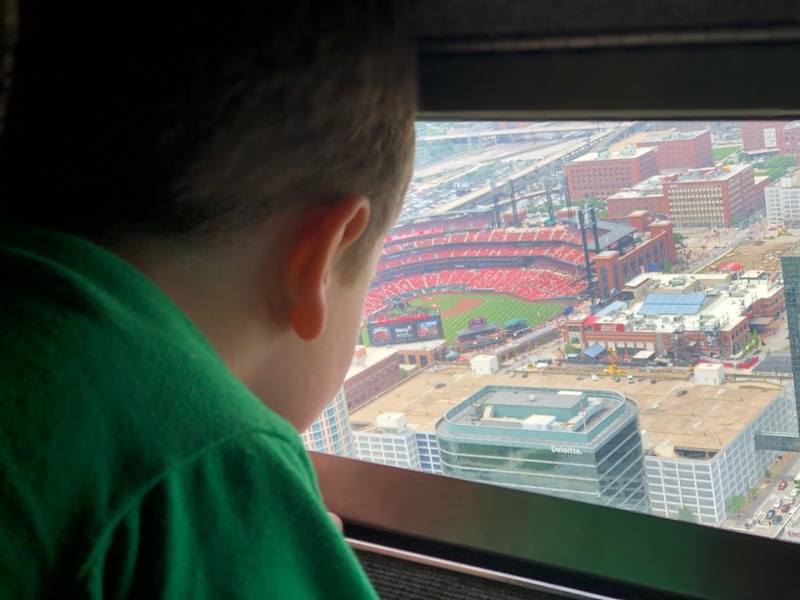 When you’re done learning and playing with all of those awesome features you can easily grab some tickets to the top of the arch and get that 653 feet view of St. Louis. It is breathtaking looking out over the city, or even spinning around and looking across the river and at all of the action happening everywhere. Maybe you can even see my house! Our experience of the sneak peek tour was worth every second of time spent at the arch. The kids are already asking to go back, especially my little monument fan. She is so fascinated by our nations monuments that she wants to see them all! We can at least cross the Gateway Arch off of her list. She loved it and so did the other kids. 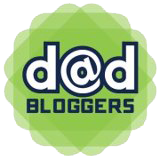 I have a feeling my blogger buddies over at AndHattieMakesThree.com, SippyCupMom.com, and STLMotherhood.com all had a great time as well! We always have a blast downtown. From Cardinal games to trips to Kiener Plaza and the various parks all around the city. We even got lucky and were able to stop the ice cream man on our way back to our car. The kids devoured popsicles in the likenesses of their favorite cartoons. That left us with just a few more awesome picture opportunities that we totally took advantage of. So not only does St. Louis have some great parks, great museums, we also have some amazing photo spots all over the city. So come on down and check it all out! Last but not least, St. Louis Dad and the St. Louis Gateway Arch Park Foundation wants your help! The Gateway Arch Park Foundation invites the public to participate in the #YourArch campaign, a one-of-a-kind collaborative photo montage to celebrate the grand opening of the Museum at the Gateway Arch and new West Entrance on July 3. Images will be sourced through social media, Instagram and Twitter, using the hashtag #YourArch. Photos can also be uploaded through the campaign’s website, www.YourArch.org. The crowd-sourced and Arch-inspired masterpiece will be unveiled at the Museum at the Gateway Arch grand opening celebration on July 3. The #YourArch photo call is open to lovers of Gateway Arch National Park near and far, and can include both newly-snapped selfies and vintage throwbacks of people with the Arch and the surrounding Gateway Arch Park. 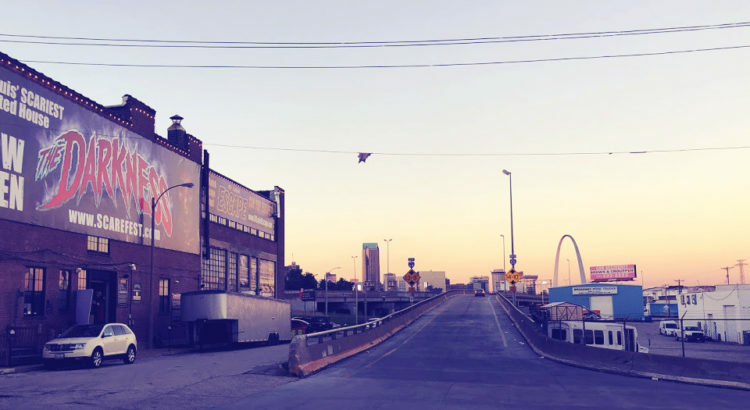 A new #YourArch inspired video launches May 4 as part of the campaign, and captures the connection visitors and St. Louisans have with the monument. To enter photos, use #YourArch on Instagram or Twitter (profiles must be public), or visit www.YourArch.org to upload them directly to the campaign. For more information, visit archmosaic.yourarch.org. About Gateway Arch Park Foundation: The Gateway Arch Park Foundation is a non-profit organization with a mission to ensure that the Gateway Arch, its grounds, neighboring public space, and attractions are a vital, active, welcoming, well-supported resource to the community and nation for generations to come. 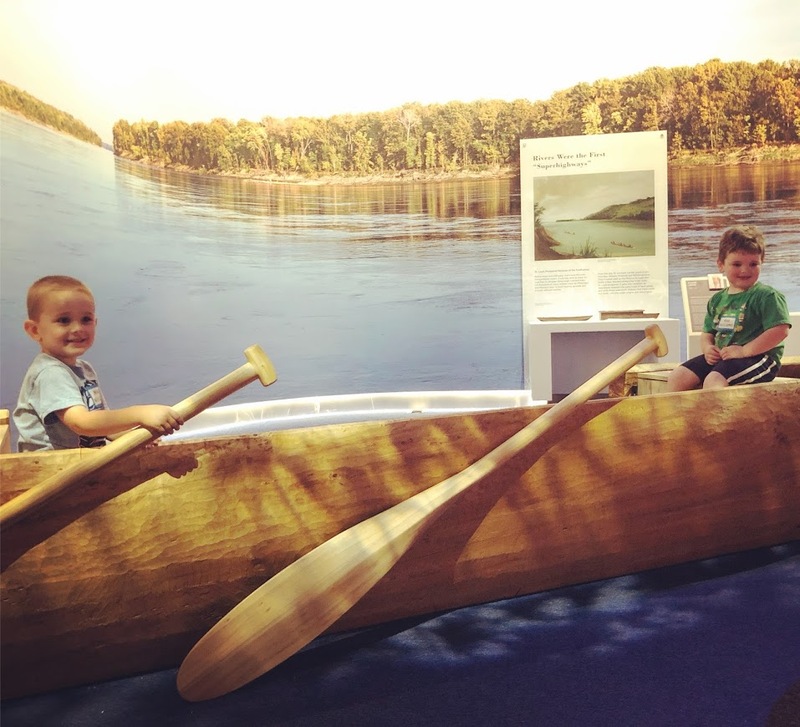 The Foundation is part of an alliance that helps meet this mission, which includes the National Park Service, Bi-State Development, Great Rivers Greenway, Jefferson National Parks Association and the City of St. Louis. For more information, visit www.ArchPark.org. The start of this holiday season has been fantastic so far. Great weather, family, friends, and life! 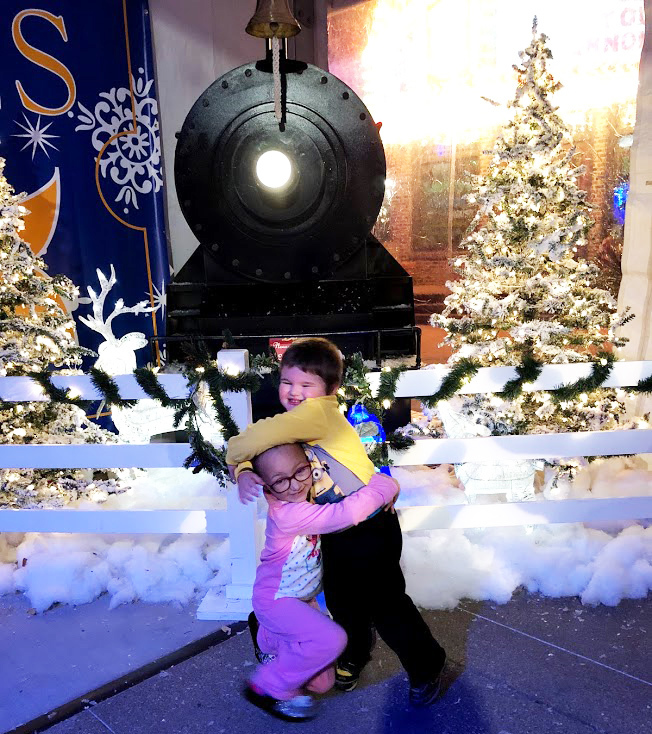 Each year we like to take our kids out to see the holiday lights, shows, and other festivities that are happening in the area, and this year we made our way back to Union Station for a first class ride on The Polar Express. 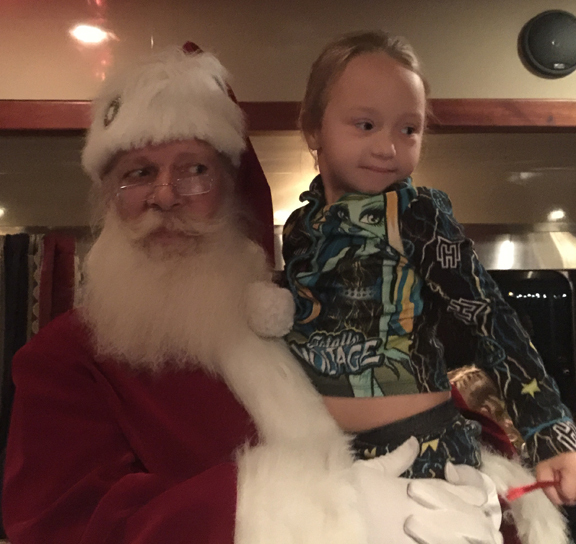 Our previous ride on The Polar Express can be read here. When we arrived I learned that they completely changed the setup from our previous visit. Upon arrival you will go to the ticket booth where you will be provided a bracelet which indicates which train car you will be riding in. It also allows entry and reentry into The Polar Express wonderland. Inside is filled with Christmas galore! I would recommend arriving about an hour before the time listed on your ticket so you can see all of the awesomeness! Outside there were fire dancers. Two wonderfully talented individuals performed a number of tricks with fire. Definitely check it out if you have time. Another fun fire filled activity was a fire show sync’d to music. It was incredible. Inside there were coloring pages, plenty of photo opportunities, games, jugglers, and more. If you arrive an hour beforehand you will have plenty of time to do everything. An announcement will be made to start getting ready for boarding. This is where your bracelets really come in handy. You will be lined up according to your train car and from there you will wait just a bit for the Conductor to let everyone know it’s time to board the Polar Express to the North Pole. You grab your seats and get your golden tickets checked by the Conductor and the fun just keeps rolling down the track. A nice cup of hot chocolate is delivered to your table along with a cookie. The chefs are bringing some serious energy with that hot hot chocolate! The music and dancing had everyone enjoying the fun. Once everyone had their drinks and cookies that’s when the story of The Polar Express is read. The kids relaxed and listened as the chefs walked up and down the aisle turning pages of the book. After story time it was time to sing and dance! The kids marched up and down the aisle singing many favorite holiday songs. Just when we thought it was over, Santa got on board! He visited every child and asked them what they wanted for Christmas and then gave them a special bell as their first Christmas present. My kids want a new iPad and LEGO sets. So hopefully Santa comes through this year. Check out St. Louis Dad on Instagram and Twitter for more Polar Express pictures! 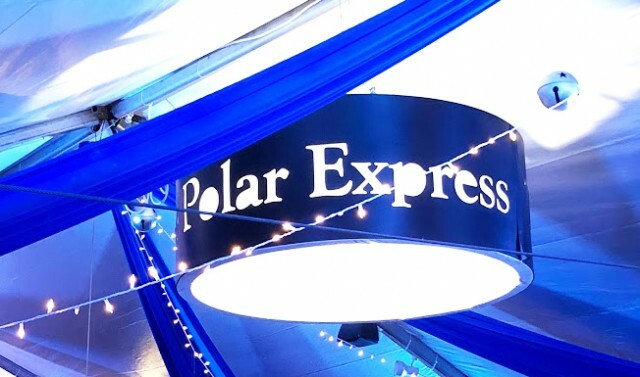 The Polar Express is at Union Station in St. Louis November 24th through December 30th. So be sure to book your tickets today. Coming from a out of town? You can stay at the grand St. Louis Union Station Hotel, a Curio Collection by Hilton. Your rate includes Deluxe accommodations for the complete holiday experience. Did you ride The Polar Express? Comment below and tell me about your trip! 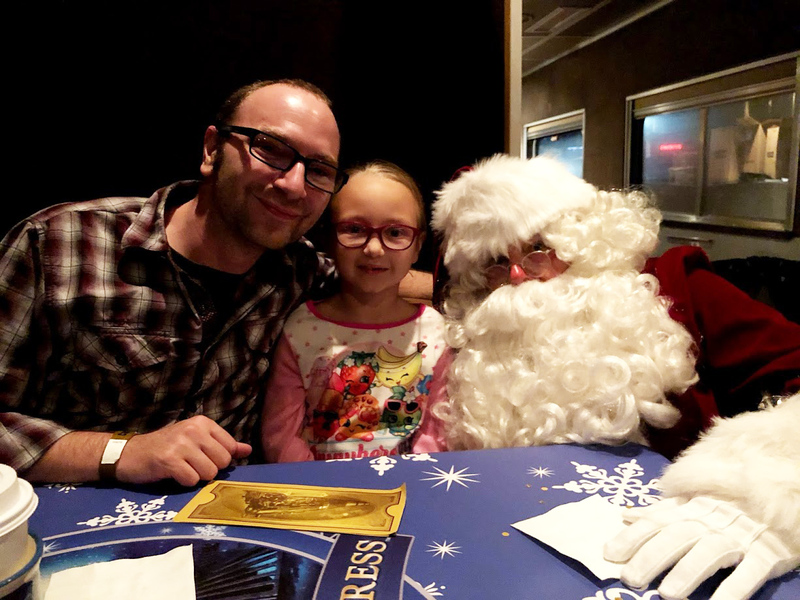 St. Louis Dad was compensated tickets to ride The Polar Express in exchange for an honest review. The Polar Express Returns to Union Station 2018 You’re at Union Station Charlie Brown! All Aboard The Polar Express! Ages of Heroes with Marvel Universe Live!